Hello everyone! I hope you all had a great Christmas, and though it’s a few days early I wish you the best of luck in the new year. Next week the party will be back in its usual format with features from each of our hostesses, so please be sure to link up your recipes and projects! Till then, I hope you enjoy my feature pick for this week. It is a creamy apple mock-tini for kids (and maybe for some of you adults too)! Hope you enjoy! Hello all. Welcome to this week’s Friday Favorites party. 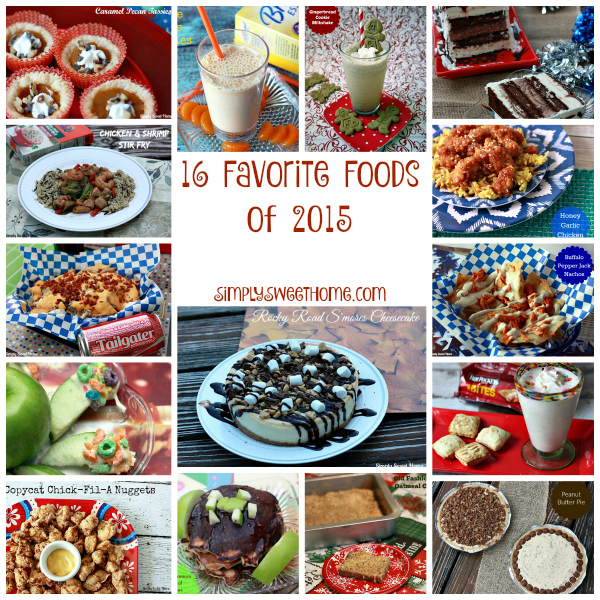 This week I’m having another round of delicious breakfast-y foods…although I’d eat these any time of day! And they all include some of my favorite fruit flavors: banana, apple, and strawberry! Yum! Hope these give you some baking inspiration for the weekend! Thanks for partying with us this week! Please link up your posts below! Welcome! Happy Friday! And Happy Belated Veteran’s Day to all the vets out there! 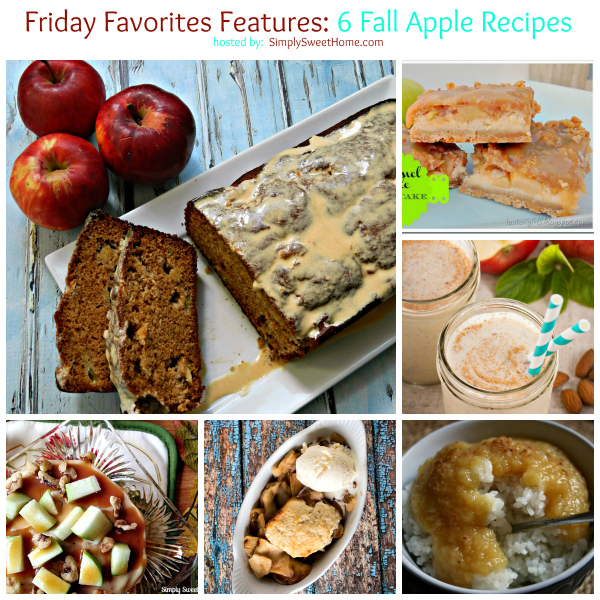 This week’s Friday Favorites party is another great round of delicious looking fall recipes. The star of the show is APPLE! Hope you enjoy! Hello friends. Welcome to this week’s Friday Favorites linky party! Today I’m happy to present some delicious apple recipes, plus a fun post on how to host a caramel apple bar! So fun! Also, while you’re here, be sure to check my giveaway featuring Vampire Diaries and The Originals! Do you follow our hostesses? If not, you REALLY should! This week we’ve been lucky to get a lot of rain and slightly more mild temperatures. But it’s still hot! I’m ready for fall! Today I was shopping at Target, and I found some new limited edition products from Glade. The scent is called Apple Tree Picnic. I’ve purchased apple scented products before, but this scent is the best ever. Our house smells like an orchard! ANYWAY….I always associate apples with fall, and even though we’re not quite in to the season yet, I’ve got apple on the brain! 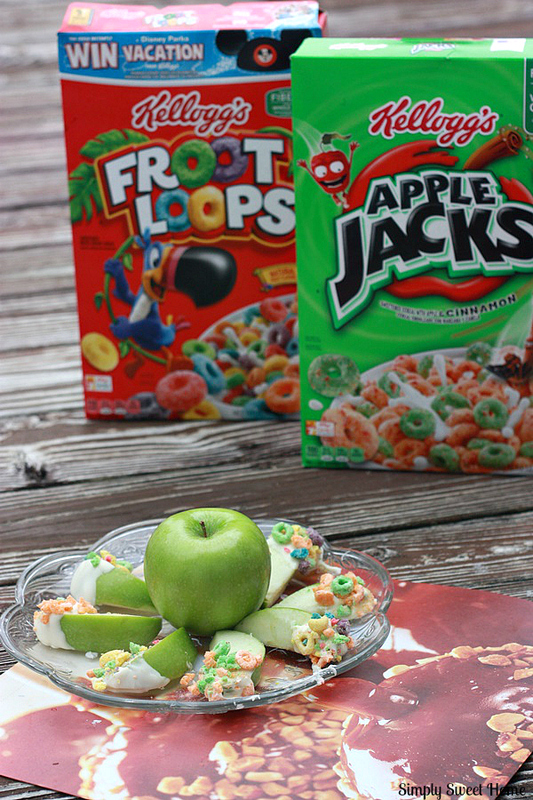 So today I’m featuring some ideas featuring one of my favorite fruits: the apple! Hope you enjoy! Valentine’s Day is this weekend! Will you be eating something sweet with your honey? I used to love Valentine’s Day for the heart-shaped boxes of chocolates it would ultimately bring to me, but since I already have a supply of chocolate (including some left over truffles from Christmas), Valentine’s Day now puts me more in the mood for a baked delight. If you’re looking for something sweet to serve your honey this Valentine’s Day, but you don’t want to spend all day long in the kitchen, look no farther! 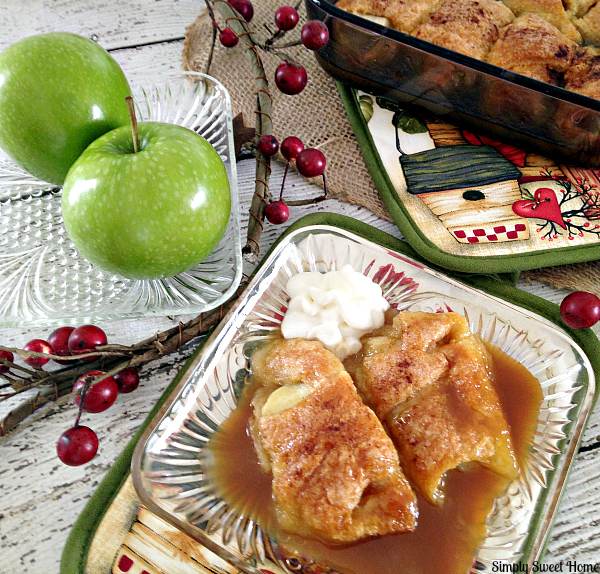 I have the perfect recipe for you: Caramel Apple Dumplins! Welcome to this week’s linky party! Today I’ve got another round of fall apple recipes that I’m sure you will love, including something that I made earlier this week. And if you’re really in to apple and need more ideas, come back in a few days, as I will be sharing another yummy apple treat from my kitchen!